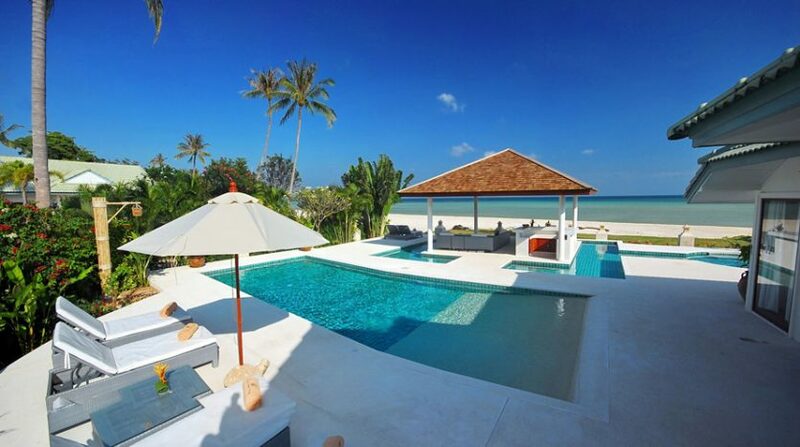 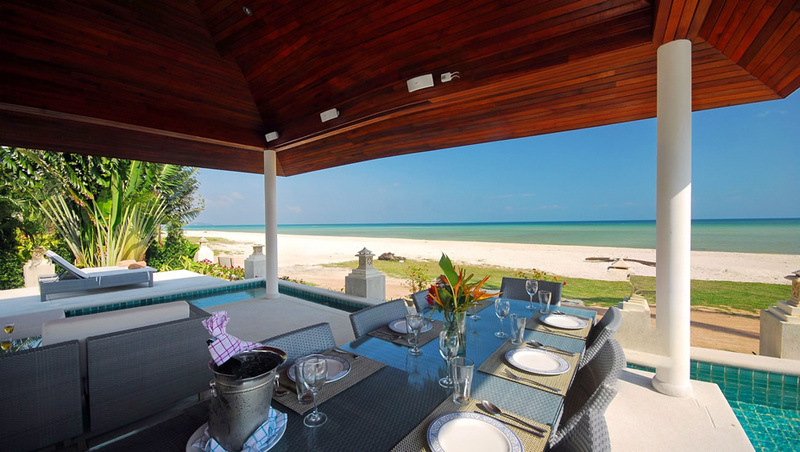 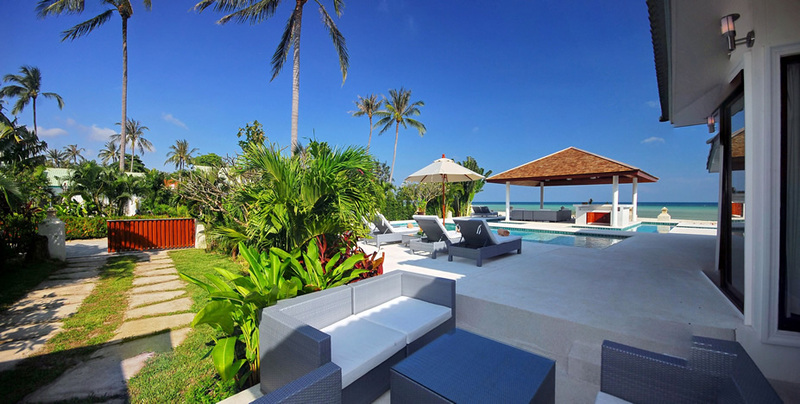 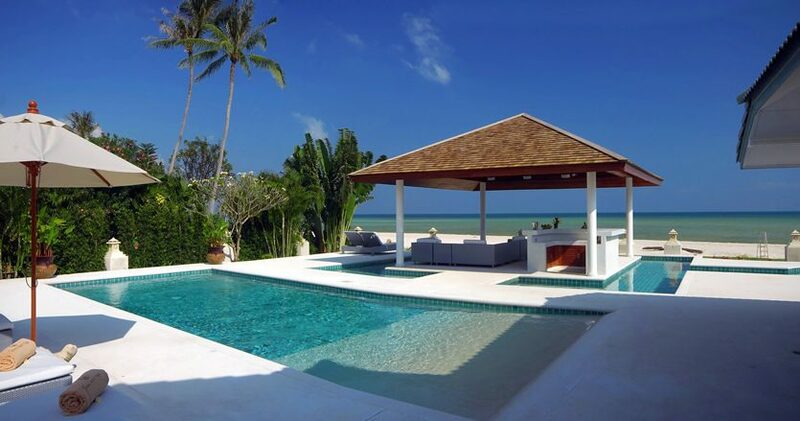 It sits looking out among the very tranquil beaches in Koh Samui, seen by few visitors. 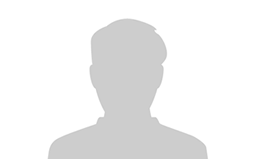 The only sound which can be heard is the casual passage of a normal long-tailed vessel. 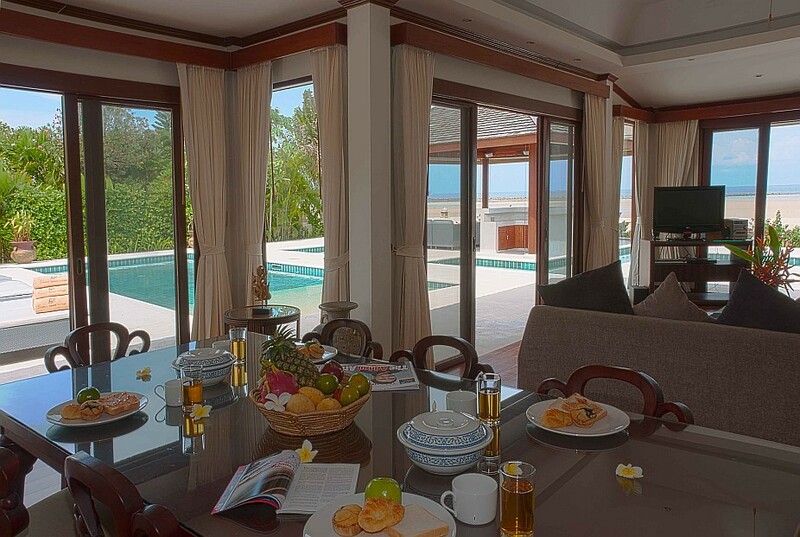 The big living space of the luxurious beach villa features a cozy lounge with Television/music amusement center, a living area and kitchen spaces all neatly interlinked. 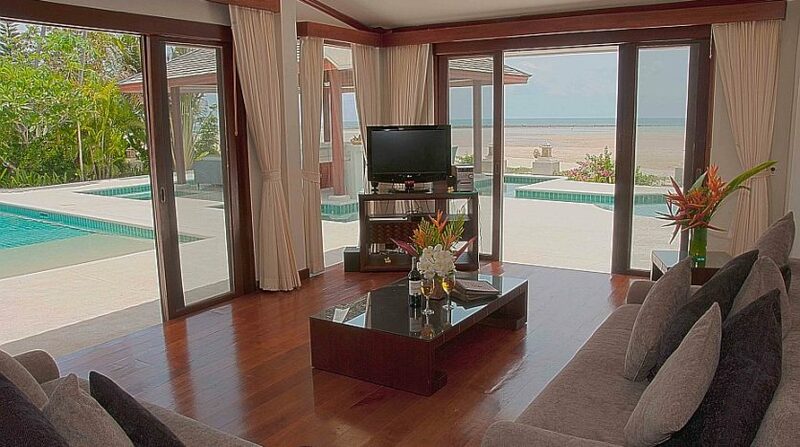 The house can be entered through the private gated parking lot by the end of the little road leading to the shore. 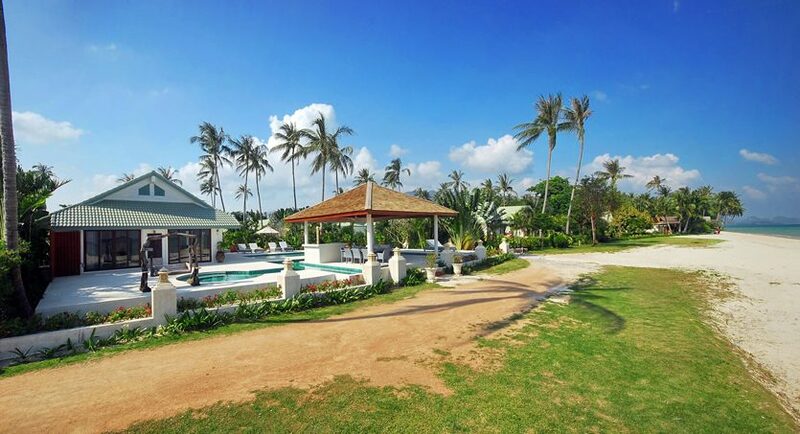 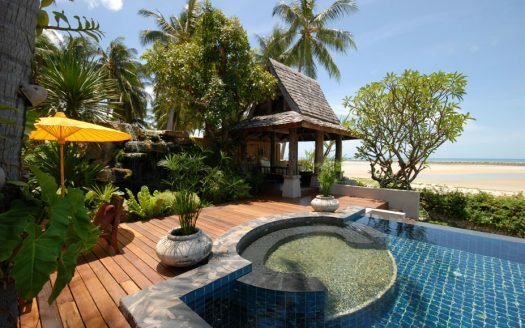 The entry to the luxurious beach villa is next to the big sun deck which also encompasses the quite private pool. 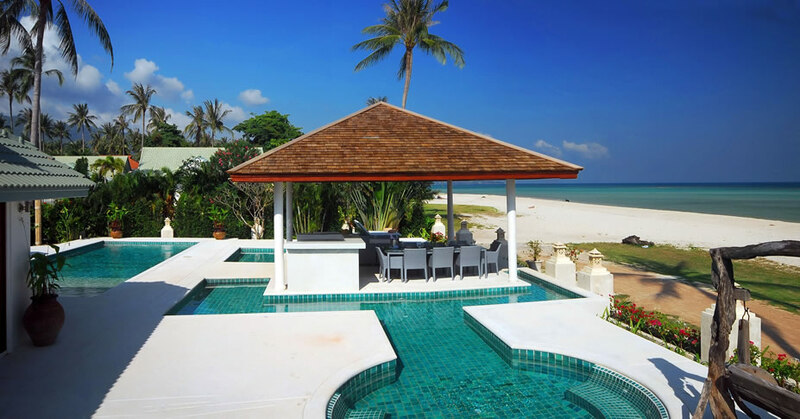 Sandy shores, stretching both ways as far as the eye can see, are perfect for families to play as well as for couples to enjoy romantic walks across the shore. 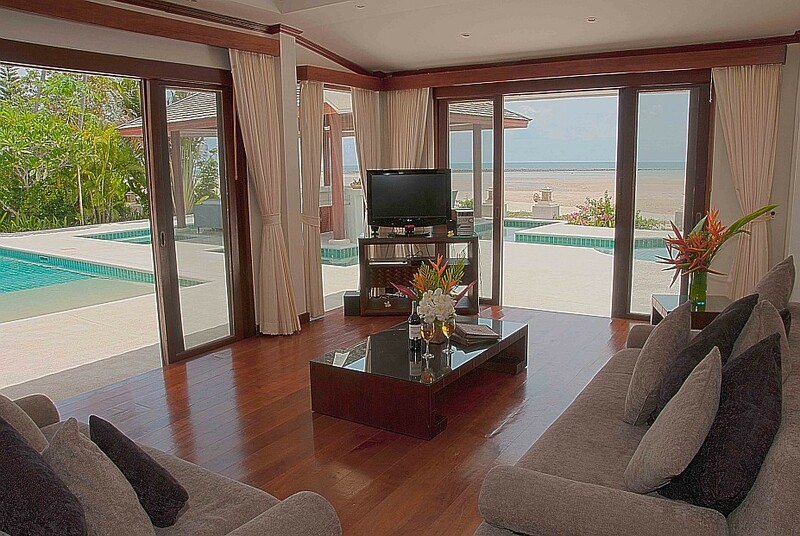 The living area is conveniently located involving the lounge and kitchen spaces. 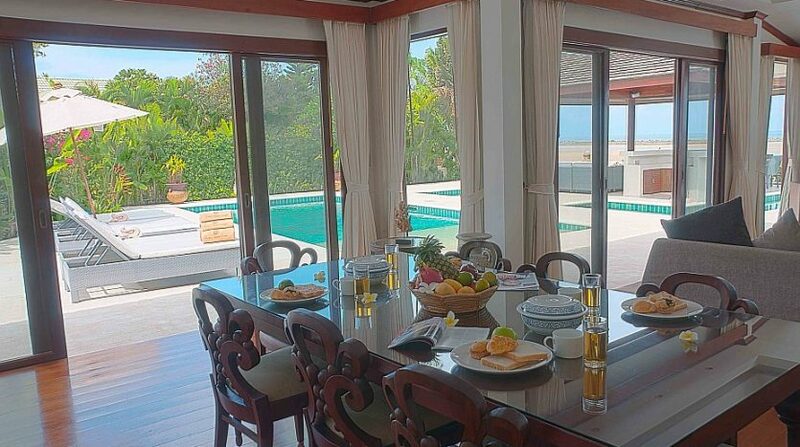 The kitchen is completely equipped with the modern comforts for cooking, including large refrigerator/freezer and microwave oven. 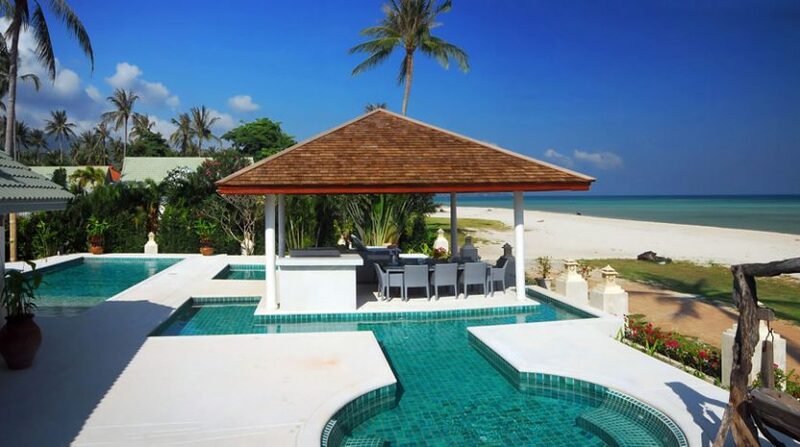 We even have a gourmet Chef available for an added fee in the event that you’d like to have a love 5 star eating experience within your personal Koh Samui beach villa. 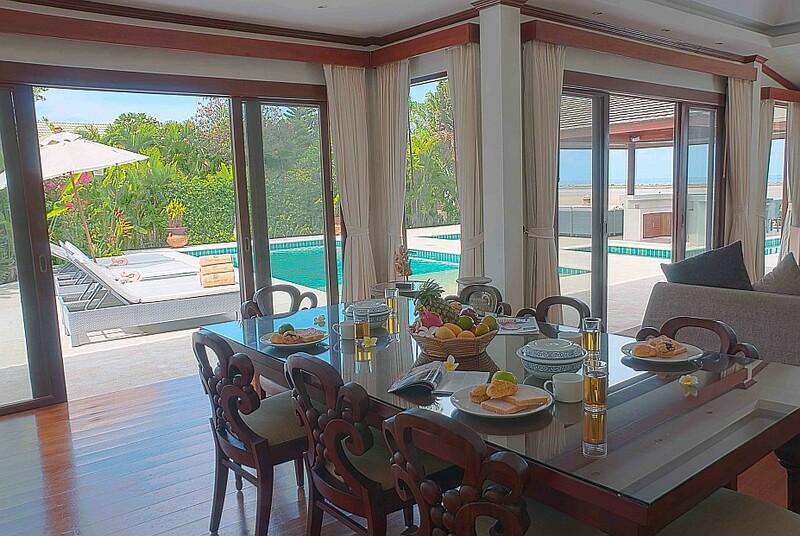 We pride ourselves on the standard of relaxation we provide through the shore villa, from AC and fans seen in all chambers through to the grade of service guaranteed by our villa manageress and employees. 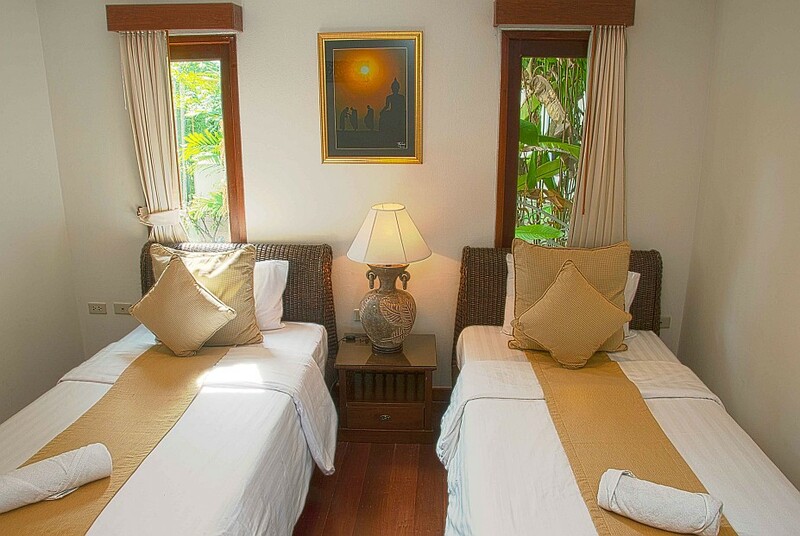 The master suite has a kingsize mattress, bedside cupboards and built-in wardrobes, including a visitor secure. 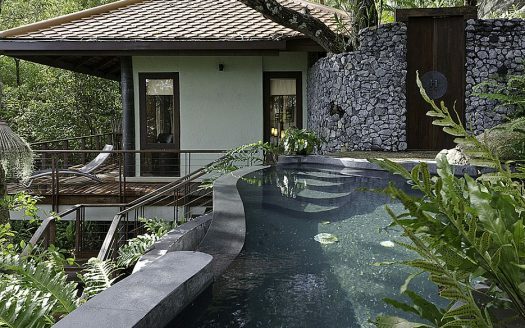 Additionally there is a sizable ensuite bathroom with Jacuzzi tub, separate shower unit and sink/toilet. 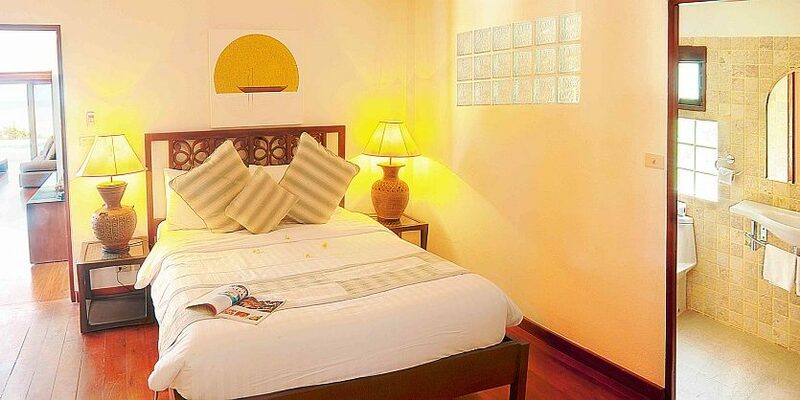 The 2nd bedroom can also be tastefully decorated using a queen bed with ensuite toilet. 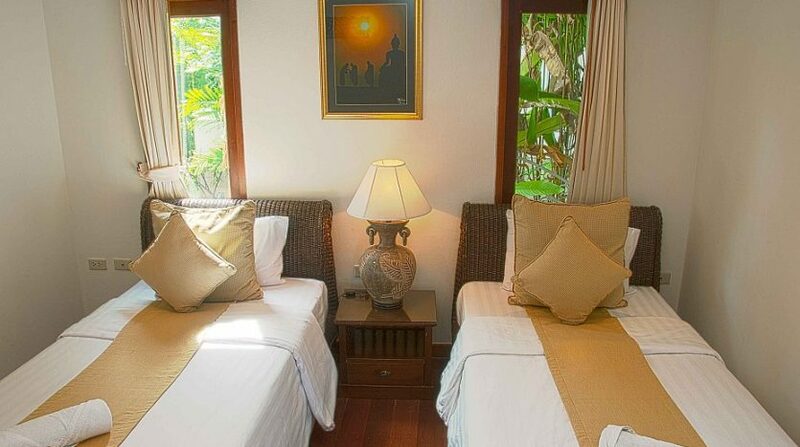 The 2nd bedroom is connected to the dining room and features substantial built in wardrobes, a generous queen-size mattress, and a unique well appointed and glossy ensuite toilet.